our friends came over tonight. they brought their new puppy - cooper. cooper and our friends' other dog - missy - played with our dog - fritz. after about an hour of playing around, cooper found a nice cool spot on the tile, nudged his nose in the corner and fell asleep. 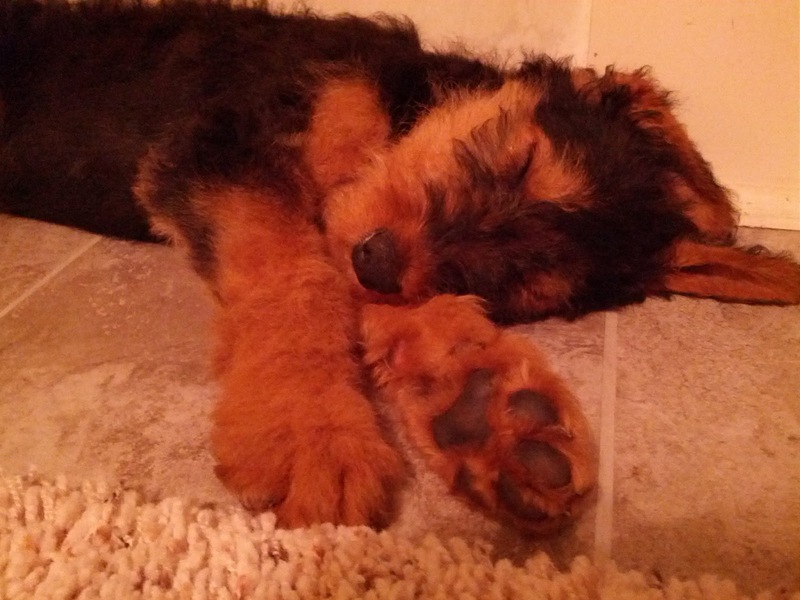 cooper is an airedale. 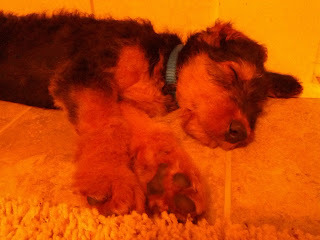 when our dog fritz moves on to the next life, we're thinking of getting an airedale.